The next-gen Mercedes-Benz CLA will share a lot of its cues with the CLS and is likely to make its debut in the first half of 2019. 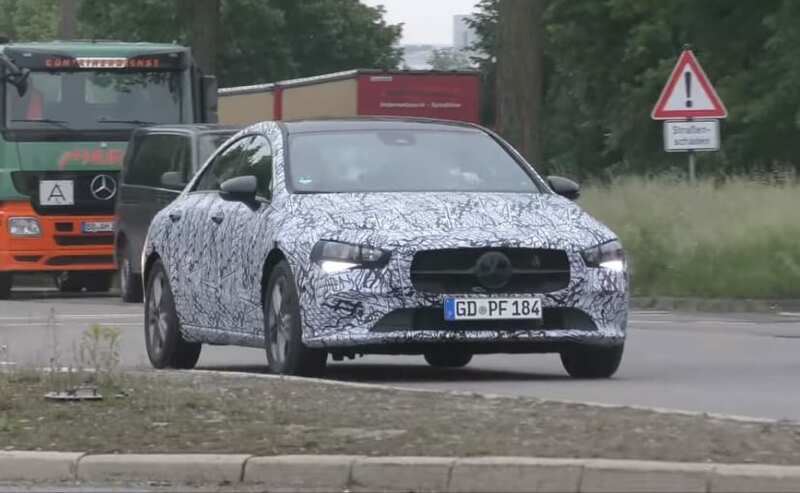 A prototype model of the 2019 Mercedes-Benz CLA was recently spotted testing again, and this time around, the car was seen with less camouflage and few near-production parts. 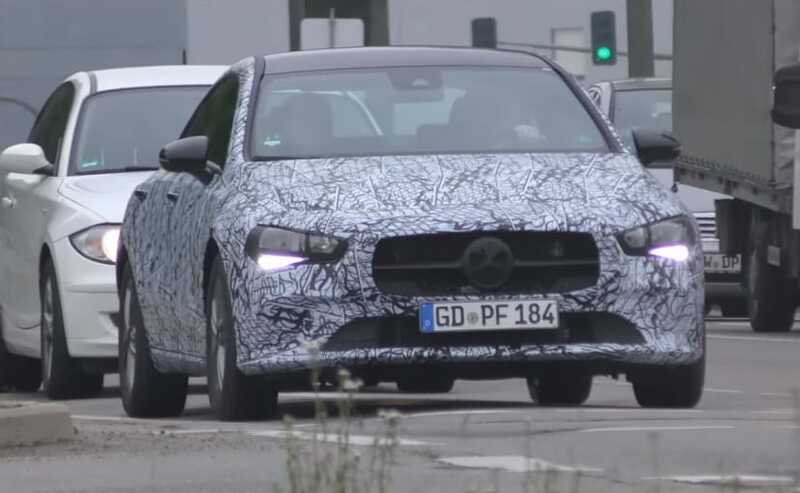 With the Mercedes-Benz A-Class sedan all set to become the company's most-affordable sedan, the Stuttgart-based carmaker is now working on taking the CLA to the next level and judging by the spy shots, the new-gen model is shaping up to become more like a mini CLS. While there is no official word on the arrival of the next-gen Mercedes-Benz CLA, we expect the car to break cover sometime next year. 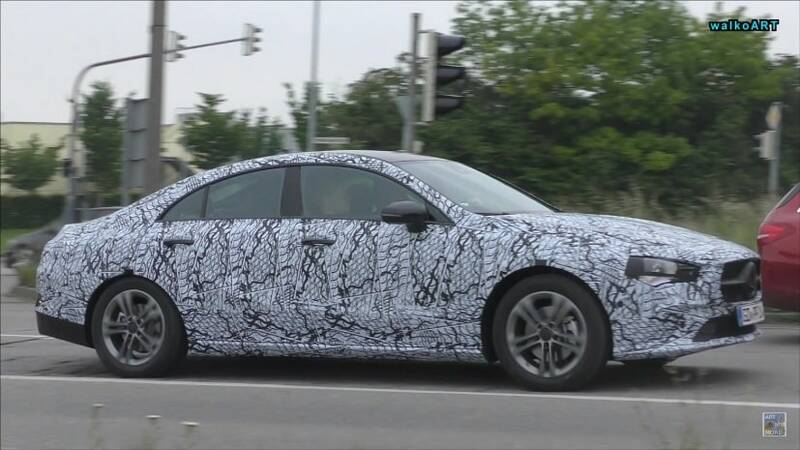 The last prototype of the Mercedes-Benz CLA that we saw came with heavy camouflage, hiding every bit of the car. While the latest ones don't exactly reveal a lot either, we now do have a general idea that the front end of the car has been largely inspired from the new CLS that was introduced last year. It's possible that the new CLA too will get the now signature diamond pattern grille, while the headlamp design will also be in line with the new A-Class and CLS. The prototype model does seem to get different-looking LED DRLs, however, these could be temporary units. This particular unit doesn't seem to get a sunroof however the production model is likely to get one. The new sleeker ORVMs come with integrated turn signal lights, and the car also gets a set of twin-five-spoke alloy wheels. The car also appears to have grown in size, courtesy of the new MFA2 platform, and the tail section also looks like will see some considerable changes. 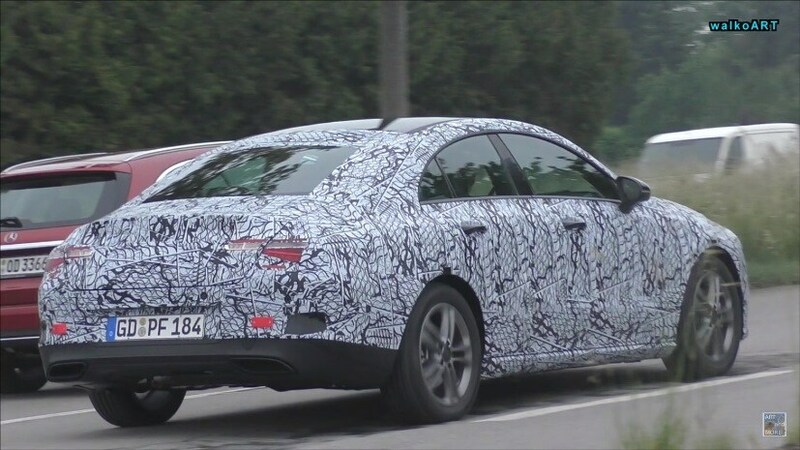 The level of camouflage on the taillamps indicates that these could be production units and the boot lid also seems to have been redesigned. There are no images that indicate what the cabin will look like but we are pretty sure it will be similar to the new-gen A-Class' cabin. Under the hood, the new-gen Mercedes-Benz CLA will share its engines with the new A-Class. Additionally, the top-of-the-line AMG CLA 45 will get a new turbocharged four-cylinder 2.0-liter engine and a revamped 4Matic all-wheel-drive layout, which will be capable of churning out around 400 bhp.